If you watched Sony’s press conference there may have been quite a few games that caught your eye, and one of the presented games comes from Impulse Gear, an independent developer studio based in downtown San Francisco. 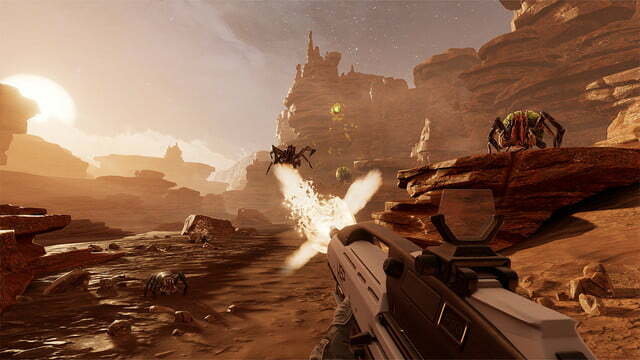 The firm is working on Farpoint, a sci-fi shooter developed exclusively for Sony’s upcoming virtual reality device PlayStation VR. 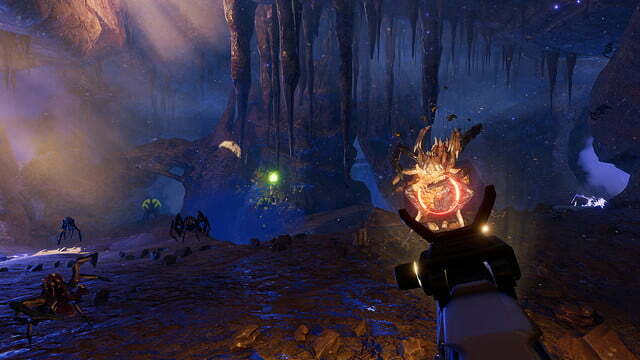 Seth Luisi, co-founder of Impulse Gear, describes the game as an “unnerving space adventure set on a hostile alien world.” Small alien drones can be seen scouring through the desert landscape as well as a city that’s been torn to pieces. 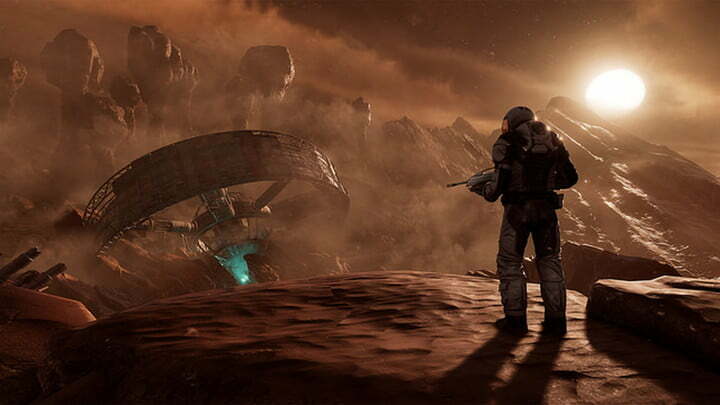 Your mission is to survive as you explore the game world, and discover the fate of your team. 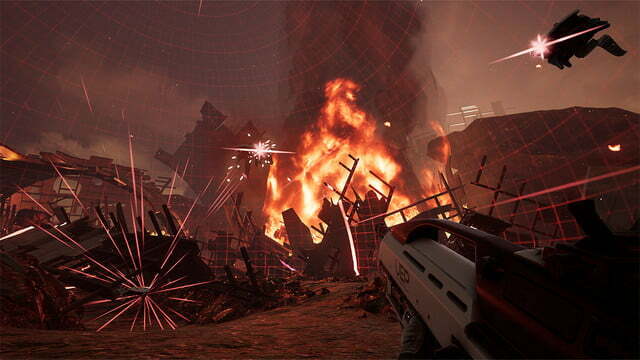 With smoke and explosions, guns and lasers, this game has taken notice of the foremost ingredients of everyone’s beloved FPS formula. 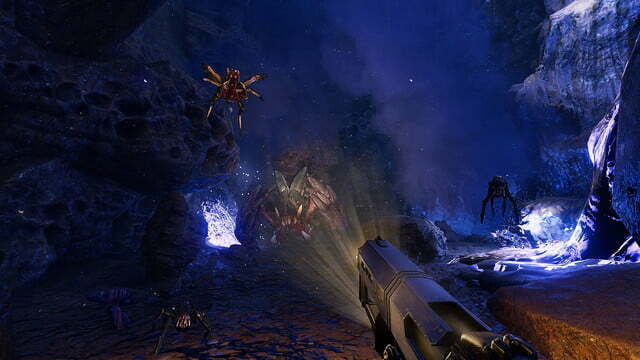 But the VR aspect of it is still fresh, and the developers have worked together with Sony Interactive Entertainment (SIE) to create a special controller for VR: The PS VR Aim Controller. Luisi says that the controller offers more realistic and precise gameplay with one-to-one tracking. He insists that the controller adds to the level of presence in the game, and we’re inclined to believe him. The more you feel that what you’re interacting with in the real world corresponds to what you see in VR, the more immersed you feel. The controller Impulse Gear has developed together with SIE has caused quite a ruckus on the PlayStation Blog, as a similar controller called the PlayStation Move Sharp Shooter is still fresh in people’s memories, and it’s evidently still being used. This is even though it was first released in 2011 and nobody really heard much buzz about it since. Regardless, it can be played with a good selection of titles, and buyers are worried that the new controller will come to replace their old one, even though the Sharp Shooter seems more advanced with especially designed buttons that could be used for VR. 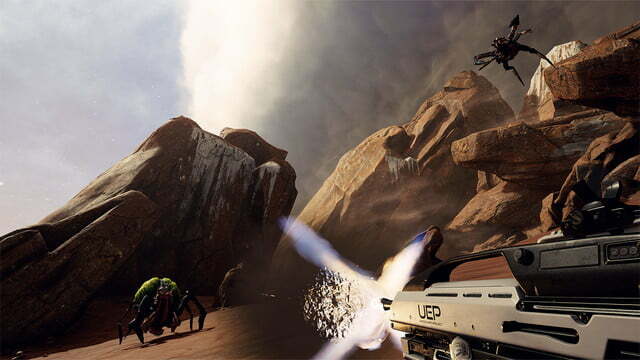 Farpoint is in development for the PlayStation VR and doesn’t have an official release date yet.